FC Dallas manager Oscar Pareja on Tuesday denied that he has had any meetings with the U.S. Soccer Federation officials regarding a position as national team coach. A source told ESPN FC's Jeff Carlisle on Monday that no meeting took place, denying a report from Al Dia that had earlier put USSF reps in Vancouver with Pareja. 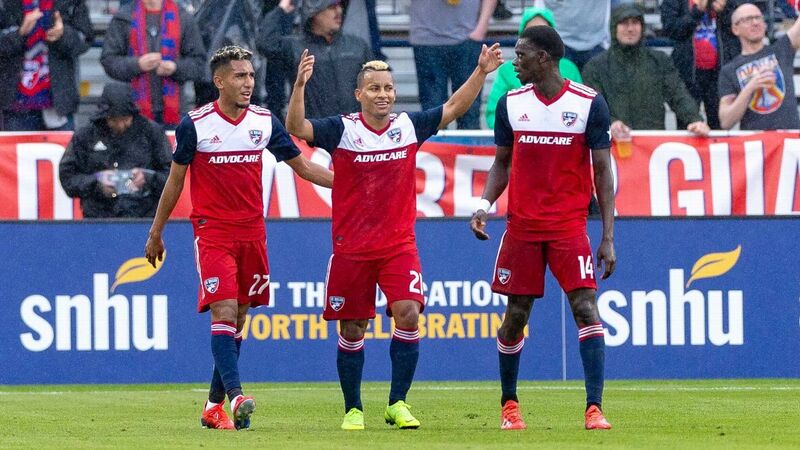 Pareja, meanwhile, told ESPN's Carlos Nava on Tuesday that while he was flattered by the interest, his sole focus is on getting his club, which is on the brink of qualifying for the MLS playoffs, through. "I want to be very clear and respectful. Because I have not interviewed with anyone. At this time I am focused on my responsibilities in helping this team get to playoffs," Pareja said. U.S. men's national team GM Earnie Stewart was spotted in Columbus last weekend during the Columbus Crew's 2-1 victory over the Colorado Rapids. Crew manager Gregg Berhalter is widely viewed as being among the favorites to land the job. Asked if he would be interested in managing the U.S. national team, Pareja said: "Yes, I think it is something any coach would aspire to but at I can say right now that at this time I am involved in another process and what I need to do now is focus on the job I have here right now." Of the Al Dia report, a USSF spokesperson said on Monday, "We are continuing the policy of not commenting on individual candidates during the process." An FC Dallas spokesperson, speaking on behalf of FCD president Dan Hunt, said, "The entire FC Dallas organization, including Oscar Pareja and his coaching staff, is solely focused on finishing the MLS regular season strong and putting us in the best position possible for a long playoff run." A U.S. Soccer Federation spokesperson did confirm to ESPN FC that Stewart, Chief Soccer Officer Ryan Mooney, and Chief Sport Development Officer Nico Romeijn conducted a conference call last week with the technical sub-committee of the USSF's Board of Directors. One source indicated that during the call Stewart put the number of finalists at six, though the former U.S. international didn't divulge any names. A second source later stated that the number had since been reduced by an undisclosed amount. The position has been vacant since last October when Bruce Arena resigned following the team's 2-1 defeat to Trinidad & Tobago that knocked the U.S. out of qualifying for the 2018 World Cup. Since then, Dave Sarachan has managed the team on a caretaker basis. Stewart is expected to make a decision in the November timeframe. ESPN FC U.S. correspondent Jeff Carlisle contributed to this report.